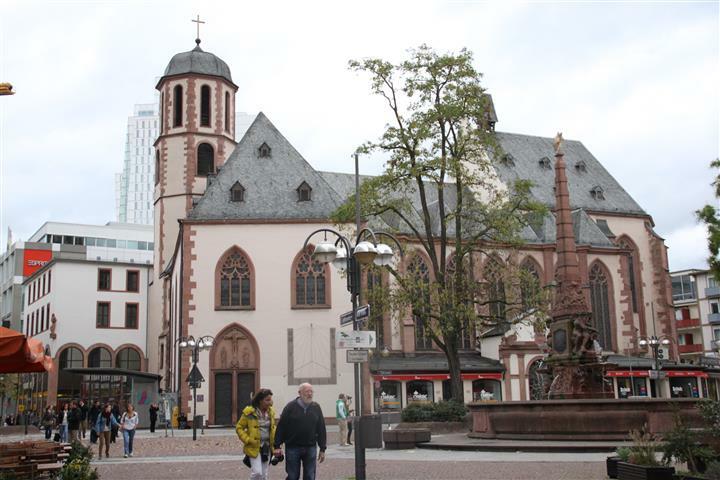 In the Middle Ages the Liebfrauenberg was one of the most important places of Frankfurt’s Old Town. Here glass, porcelain, pottery, candles, rope and various chandlerly and household goods were sold.. 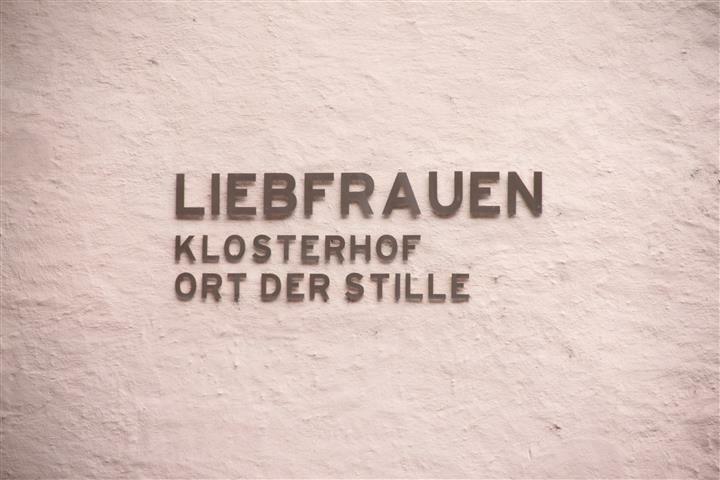 Adjacent to the “Liebfrauenkirche” (Church of Our Lady) on the west side, can be found the “Staufenmauer”, the only remaining fragments of the 12th century city walls. 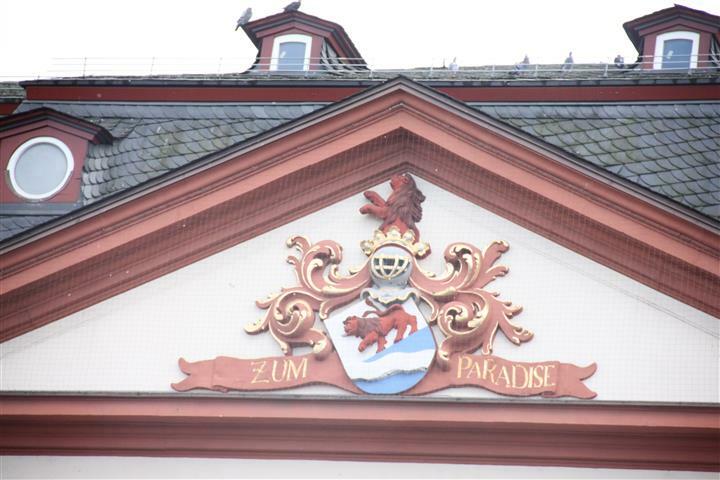 The Liebfrauenberg was first referred to in a text referring to the 14th-century Rossebühel, a name that fits historically into the context of the nearby Ross market which was the location of the horse markets. 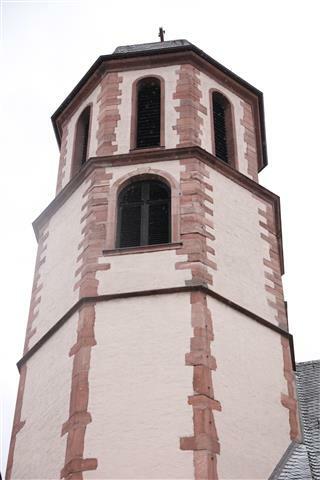 From 1318 the Liebfrauenberg was marked by a small chapel, donated by Wigelo of Wanebach and his wife Katharina von Hohenhaus. 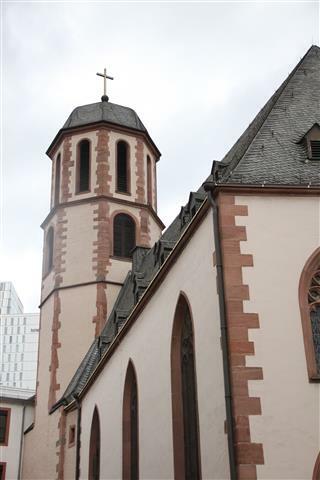 It was known as St. Catherine, after its founder’s wife, but was apparently also known as Wigelskapelle at the same time. When Wigelo died his wife Katharina took over the administration of the chapel. 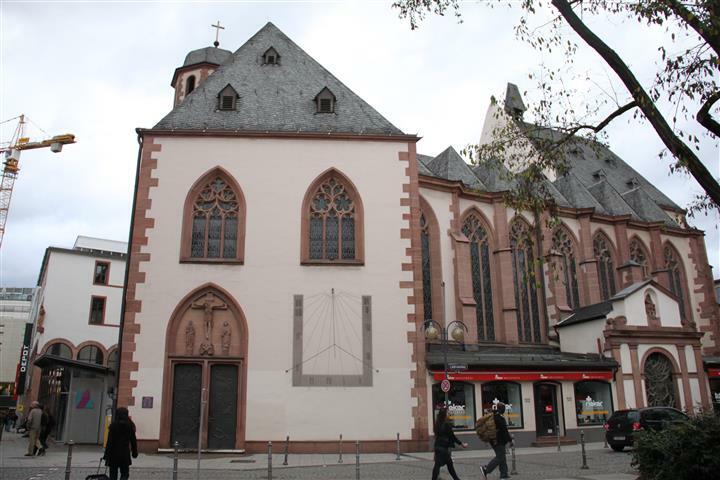 When the chapel was expanded in 1325 and elevated to include a monastery, so the Archbishop of Mainz ordered its renaming and it became the “Liebfrauenkirche” (Our Lady’s Church). The stone relief over the Three Kings Portal from about 1425 is considered to be an extremely important work of art. 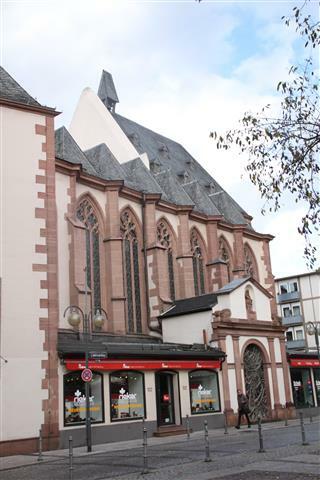 Historically in the area there were routes to the Bockenheimer gate and the Friedberger gate but no connection between old and new, until a road was built connecting Liebfrauenberg to Zeil in 1855. This is why the church door opens to the south, though the church has the usual east-west orientation. Between 1763 and 1771 comprehensive work was carried out that resulted in the baroque style features that characterises the church today. The old spire was so dilapidated that it was replaced with the the spire that we see now. The interior of the church had already been renewed in the Rococo style making it one of the most important interiors of it’s kind in the city. 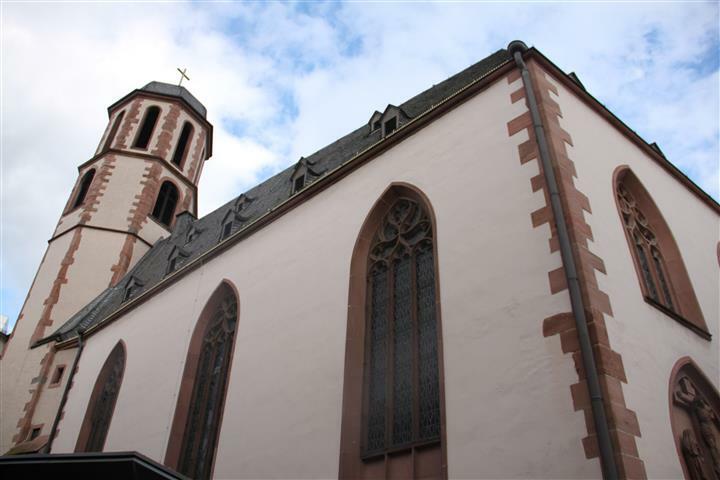 The old altars were removed or displaced and replaced by including the high altar five new from Mainz workshops and during this time a new organ was procured from the workshop of Frankfurt organ maker Ernst Weegmann. 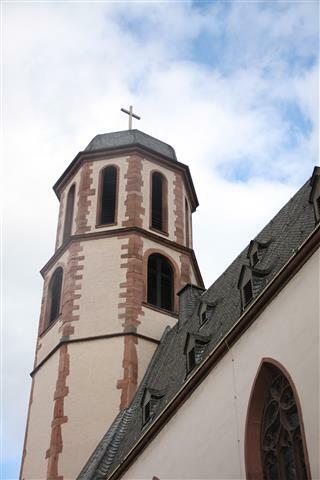 The new pulpit, also of Mainz, was completed then too. 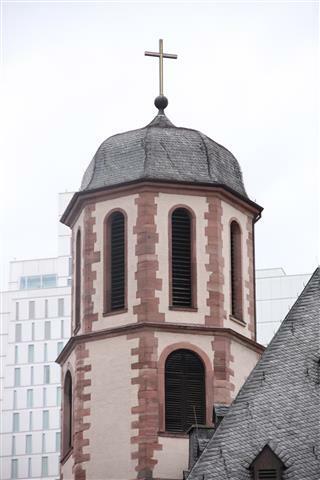 On March 22, 1944, a massive air raid hit the historic old town of Frankfurt. The Church of Our Lady burned out completely, the adjacent monastery was severely damaged. Much of the valuable equipment, including all nine altars, the pulpit, the late Gothic choir stalls and the organ from 1864 was destroyed. Only a small part: fragments of the high altar and a statue of Mary in the monastery courtyard facing niche of the external church wall, could be saved. 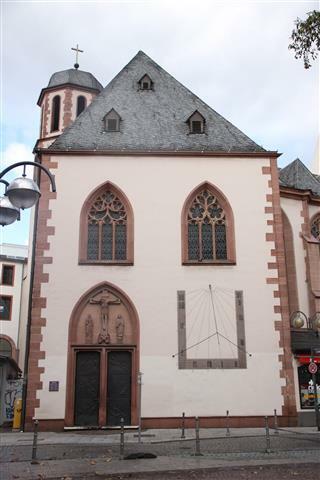 After the war, the choir of the church was given a temporary roof in order to make it fit for worship again. 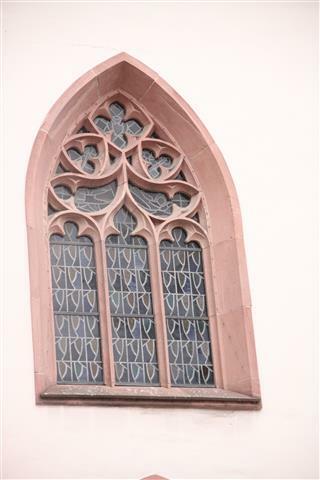 The rest of the church remained more than ten years in ruins, until a full reconstruction began in 1955/56. As with yesterday’s post, I have no clue what I did wrong with the camera exposure. when I know I will try to not do it again… and I can not guarantee that I will know any time soon. 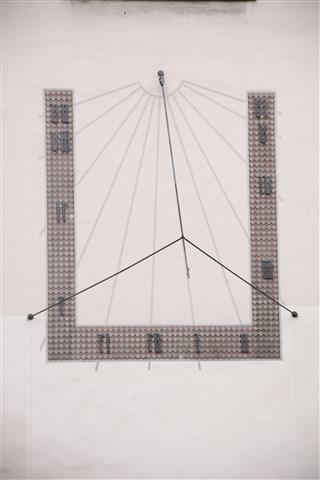 Year of construction: approx. 1310-1478, 1506-09. I so enjoy all that you have experienced during your adventures with family. Thank you for your website. I was researching the location of some old negatives that I’ve scanned, including this church and the city walls. You are welcome. It’s a beautiful church isn’t it? This is beautiful church on the outside and it was just a pity that we didn’t get to go inside.